1. Pre-Nuptial Inquiry Form. The priest in the parish of your normal residence will fill this up with you. Section A of this form will need to be filled up by the priest to establish your freedom to marry. You will be required to bring your baptismal certificate, with your confirmation details noted on it, or in some cases a separate confirmation certificate, and letter of freedom with you to this initial meeting. Section B of the pre-nuptial inquiry form is filled in shortly before your marriage. 2. If your place of baptism was elsewhere, you will need to get a Baptismal Certificate from your church of baptism (this certificate must be issued within 12 months of your marriage). 3. Letter of Freedom in some cases. Consult the priest doing your papers about this. 4. In the case where either the bride or groom is not Catholic, a dispensation will be needed. The priest will organise this for you. Situations vary from couple to couple. It would be impossible to cover everything. It is best to contact your local priest six months ahead of your wedding date and he will advise you on the documents needed in your case. Which kind of Liturgy? : There are two kinds of Marriage Liturgy. One is where the Marriage Promises are made during Mass. The other is where the Promises are made at a special Liturgy but without Mass. The choice of Liturgy should be made in the light of the personal faith circumstances of both parties. Most Catholics will choose to make their Marriage Promises at a nuptial Mass. However, when one is not Roman Catholic, or a non-believer, the wedding liturgy without Mass may be more appropriate. It is important to talk this decision over with the priest who will officiate. The Church Ceremony: This needs to be discussed in detail with the officiating priest. Photographs and Video Recording: The making of a video and the taking of photographs is no problem so long as it does not take from the sacredness of the ceremony. If you intend printing a booklet for your wedding, it is advisable to have it checked over with the priest who will officiate. Readings should always be from the bible. Samples are available. The music for your wedding must be suited to the dignity of the occasion. There is no fee for the use of the church if the bride is a parishioner; if you live outside the parish please check with the secretary in the parish office to ascertain the current fee. It is customary to give a voluntary offering to the priest who celebrates your marriage. For attendance at rehearsal and wedding ceremony the Sacristan should be appropriately remunerated. If neither party of the wedding is from the parish it is presumed the couple will invite a priest from their own parish, a relative or a friend, to officiate. The documentation required will be attended to by the priest in the home parish and forwarded to Frankfield/Grange. The priest in the home parish should be contacted several months before the wedding date. In the case where you invite a priest relative or friend to officiate at your wedding, he must produce a current Celebret from his bishop or superior to the parish clergy. Please inform him of this regulation. Papal Blessing: If you wish to receive a Papal Blessing, you can organise it through Veritas on Carey’s Lane, Cork. Organise it well in advance of date. Baptismal, confirmation and marriage certificates in this parish can only be requested at the parish office and issued by the parish secretary. 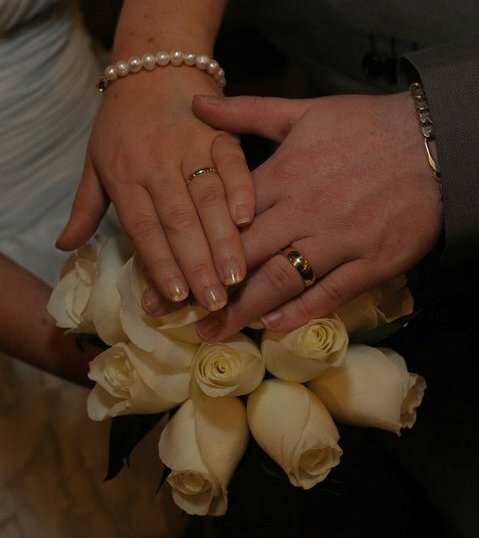 gettingmarried.ie: is a website that will be of assistance to those who are planning and preparing for marriage.